Bring Me The Horizon have announced a run of European shows for November. Oli Sykes and co played the Reading and Leeds festivals over the weekend and will return to the UK for four dates during the trek. The tour has been set up to support fifth album That’s The Spirit, out on September 11. And they’re offering fans pre-sale ticket codes for the shows if they order the record before 12noon GMT tomorrow (September 1). They go on early sale at 9am the following day through Ticketmaster. They’ll be supported by Neck Deep, PVRIS and Beartooth on selected dates. In addition, they’ve teased Avalanche and Doomed from the album. Hear the clips below. BMTH previously released Throne and True Friends from the record. 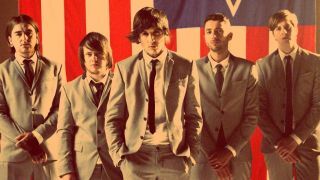 BMTH will play the Rose Theatre, Kingston Upon Thames on September 6 before heading out on a North American tour.